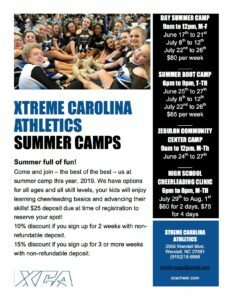 Come and join – the best of the best – us at summer camp this year, 2019. 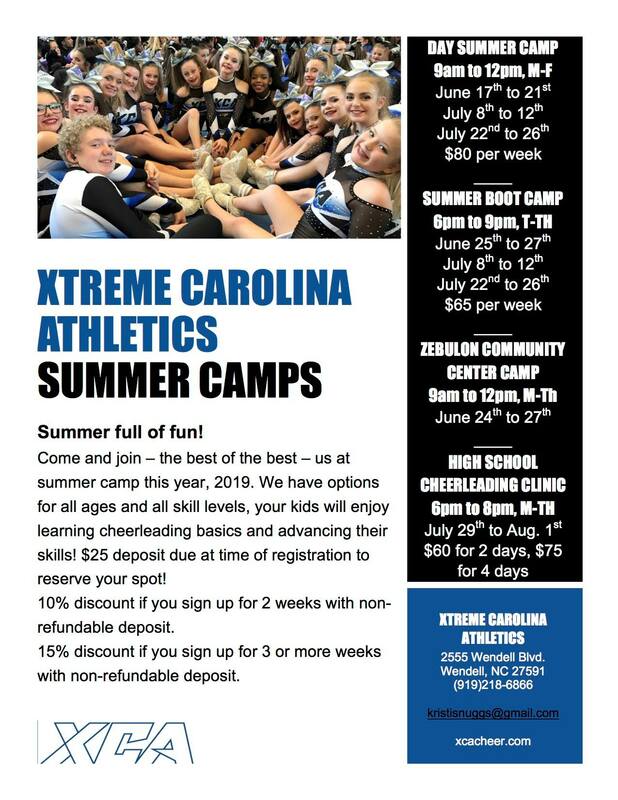 We have options for all ages and all skill levels, your kids will enjoy learning cheerleading basics and advancing their skills! Follow XCA on Facebook for Updates!